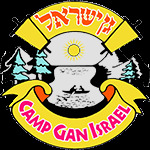 Camp Gan Israel - A Dynamic Jewish Camping Experience! Home to the happiest campers in all of San Antonio! Friends, fun, field trips, the best staff and more. A Gan Izzy summer is like no other - jam packed with awesome activities and overflowing with Jewish pride!